“How Dad approaches life will serve as an example for his daughter to build off of in her own life, even if she chooses a different view of the world,” says Michael Austin, associate professor of philosophy at Eastern Kentucky University and editor of Fatherhood — Philosophy for Everyone: The Dao of Daddy. “What matters in the father-daughter relationship is that Dad seeks to live a life of integrity and honesty, avoiding hypocrisy and admitting his own shortcomings so that she has a realistic and positive example of how to deal with the world. He should try to model a reflective approach to life’s big questions so that she can seek to do the same,” he adds. 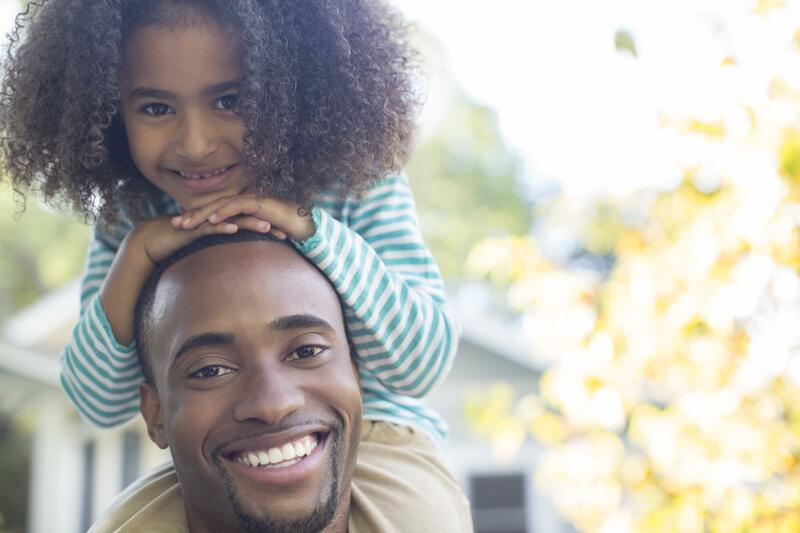 We now live in a culture where Dad is an equal partner in care giving. From day one, dads are encouraged to be hands-on, changing diapers, giving baths, putting Baby to sleep and calming her cries. That presence and effort is the beginning of a very important relationship. According to Austin, this quality time together is crucial at all stages of a girl’s life. “Dads need to spend time with their infant daughter, taking care of her physical needs and supporting her Mom,” he explains. And once the little lady starts toddling around, “[i]t’s essential that Dad gets down on the floor — on her level — and plays with her,” Austin says. As a girl continues to grow and her teen years become fraught with complicated issues, dads should continue to work on building a trusting relationship, give affection and support her as she learns more about who she is and what kind of person she wants to become, Austin says. A dad’s involvement in his daughter’s life is a crucial ingredient in the development of a young woman’s self-esteem. Austin identifies positive elements of “common sense” parenting for dads so they can help support their daughter’s self-image and curb any possibility of low self-esteem: Verbal encouragement, being consistently present in her life, being alert and sensitive to her feelings, taking time to listen to her thoughts and taking an active interest in her hobbies. “It’s important to actually do these things, which can sometimes be quite challenging,” Austin adds. Direct involvement and encouragement by her father will help diminish a girl’s insecurity and increase her confidence in her own abilities. The type of men that women date and have long-term relationships with are also directly related to the kind of relationship a girl has with her father. Obviously, the hope is that the father figure in a girl’s life will aim to skew that young lady’s opinions of men in a positive way. Originally published October 2012. Updated February 2017.